Does World Cup soccer need a mercy rule? Losing has never been a great feeling. 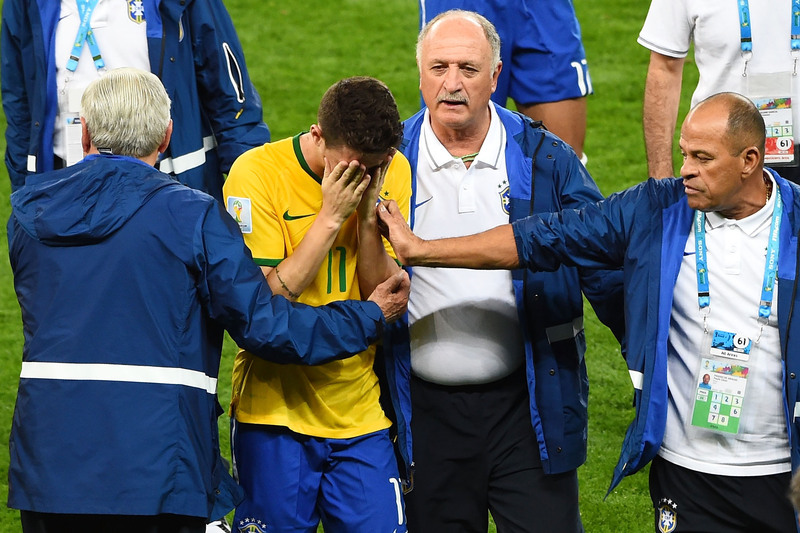 Ask the grieving nation of Brazil. But losing by a ridiculous amount is even worse. A major part of participating in any sports program is sportsmanship. So when one team is demolishing the other, there should be something to stop the embarrassment. Well there is. In some sports, a "mercy rule," sometimes referred to as the "slaughter rule" is put in place to spare the losing team from any more humiliation. At this point the losing team shows to have no possible way of winning the game. The rules are widely altered from state to state, and sport to sport. Nearly all youth leagues, high school sports, and some college associations have some sort of mercy rule. One sport commonly known for applying this rule is Little League Baseball. It's hard for parents to watch their children get ridiculed, and it doesn't help much with the child's self esteem. According to Little League Baseball rules, the game can be ended if the winning team is ahead by 10 or more runs after four innings. College baseball is one of the few higher level competitive sports that apply a mercy rule. In the NCAA rules and regulations hand guide, they have what they call a "Ten-Run Rule". It says "by conference rule, or mutual consent of both coaches before the contest, a game may be stopped only after seven innings if one team is ahead by at least 10 runs." In high school basketball, there is also a way to stop one team from completely disgracing the other. If a team is leading by 30 points anytime in a game, the clock will continue to run. No stopping. This will not only end the game faster, but give a smaller chance to the team that is leading to completely destroy the other. If the lead falls below 20 points, the clock will go back to all whistle stoppages according to the National High School Federation Rules. Due to the generally low-scoring nature of soccer games, there are no widely-used mercy rules. With one exception. The International Blind Sports Federation, which helps visually-impaired athletes compete in the Para-Olympics and other tournaments, requires that any time during a soccer game that one team has scored ten more goals than the other team that game is deemed completed. Sometimes, it's up to the mutual decision of the coaches. They have the choice to decide whether or not to ease up or continue with the beat down. In the World Cup semi-final between Germany and Brazil, it seemed to be the latter.